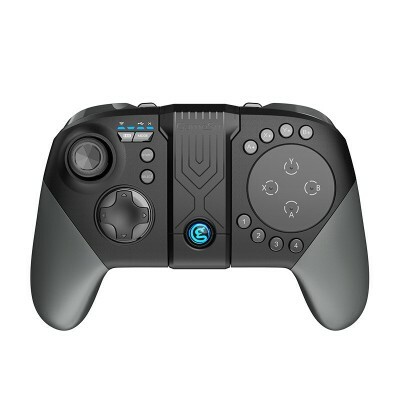 GameSir G5 is the award-winning next-generation gaming controller and the first gamepad that dedicatedly build for mobile MOBA games and shooting games. 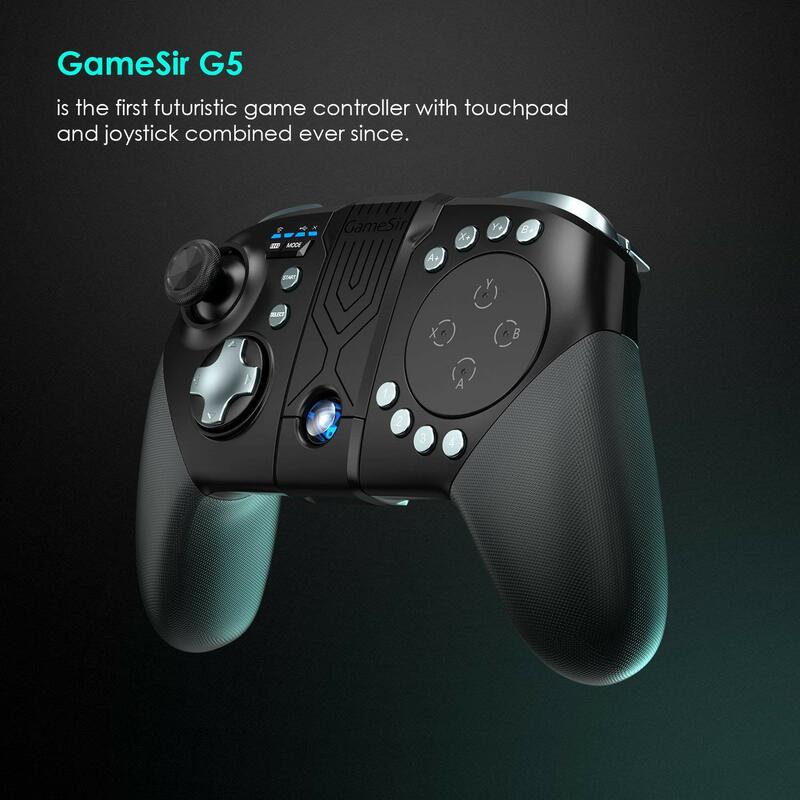 Merging several revolutionary inventions: trackpad, surrounding button layout, extra configurable buttons, GameSir G5 strikes the ordinary way to mobile gaming and brings out the brand-new control solution with your Android smartphone. Trackpad is responsive and sensitive to track your finger’s input precisely. It allows you to tap, drag to cast a spell or move your camera around in shooting games. The trackpad is also loaded with four raised dots to secure your blind control. It allows you to tap on the dots as pressing ABXY buttons. Surrounding buttons are designated to simulate multi-function hotkeys work for different occasions. First, they are MOBA friendly. If you are playing Arena of Valor, the upper buttons function as level-up spell hotkeys; the lower buttons become the summoner spell hotkeys. Second, if you are playing Rules of Survival, those buttons are the supplier pick-up hotkey. Instead of using the traditional linear moving triggers, we use mechanical triggers with a short key travel distance. The 1mm distance of key travel gives you an effortless pressing experience yet still provides you a clear and clicky feedback. To maximum the support for gaming, we added Dual shoulder L4/L5 triggers and dual L5/R5 rear buttons. It supports the custom assignment of any button function in accordance with the needs. 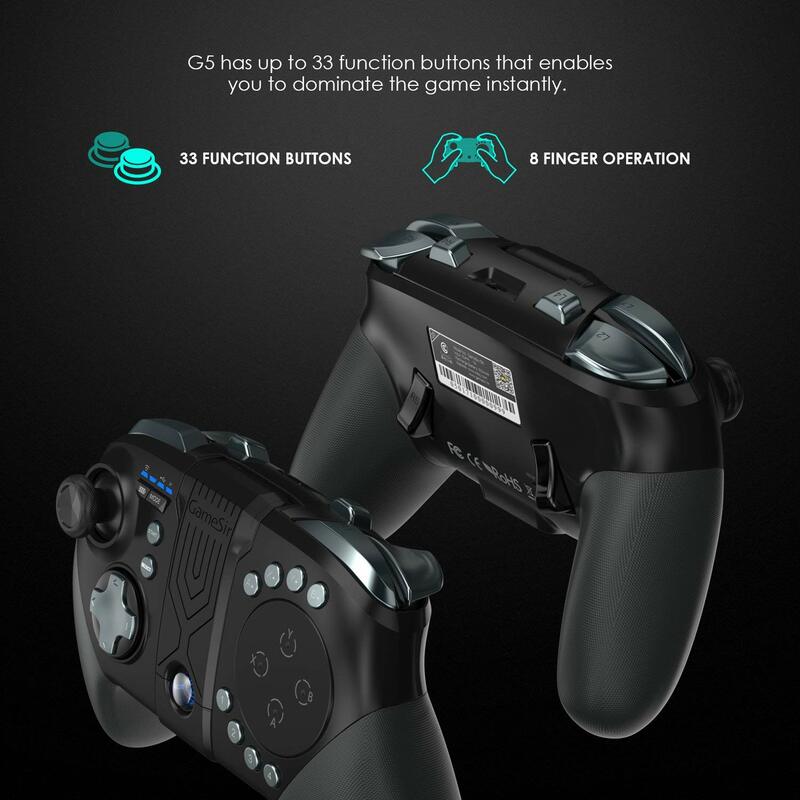 GameSir G5 Use Wirless GCM 5.0 for the game controller, which achieve faster connection for your Mobile Phone, give you wonderful game experience. Please note: Only Wirless connection is supported, wired and PC connections are not supported. As you may know, some popular mobile games do not support gamepad natively. To force them controllable with gamepads, GameSir either requires you to use GameSir World app to create a button overlay on the screen allowing GameSir product to control the game (Android) or provides you the complete game packages already integrated with the gamepad support (iOS). 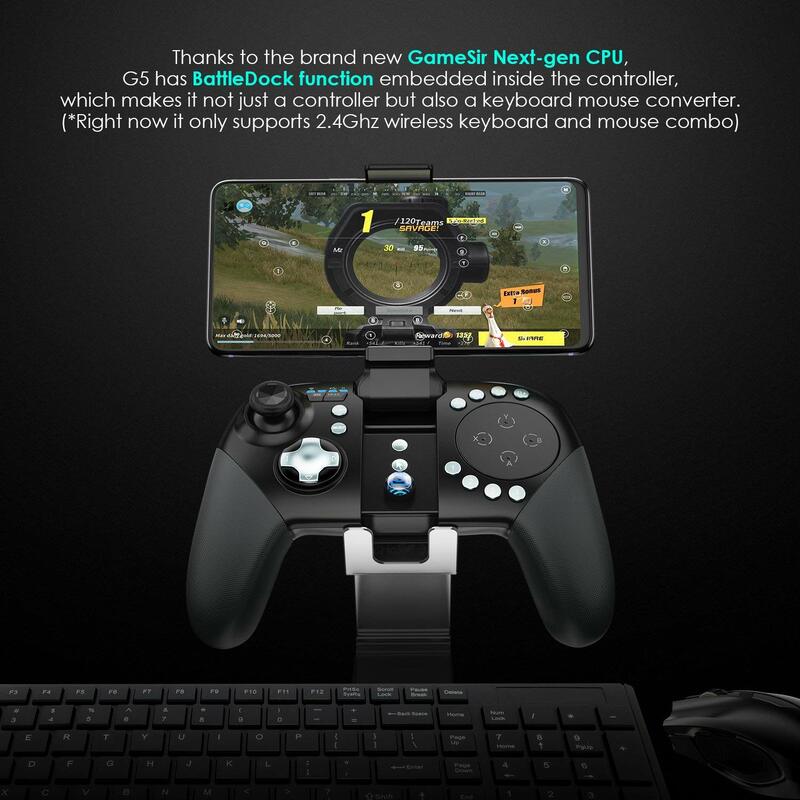 Thanks to the brand new GameSir Next-Gen CPU, G5 has battledock function embedded inside the controller, which makes it not just a controller but also a keyboard mouse converter. The Ergonomic grip secures players from the hand injury and gets rid of the hand fatigue of prolonged gaming session. Built-in bracket with two adjustable angles (110 degrees & 150 degrees), can be used as an individual mobile holder for 3.5~6-inch smart phones.